Don't Miss Out -- the BEST St. Patrick's Day event on Maui!!! 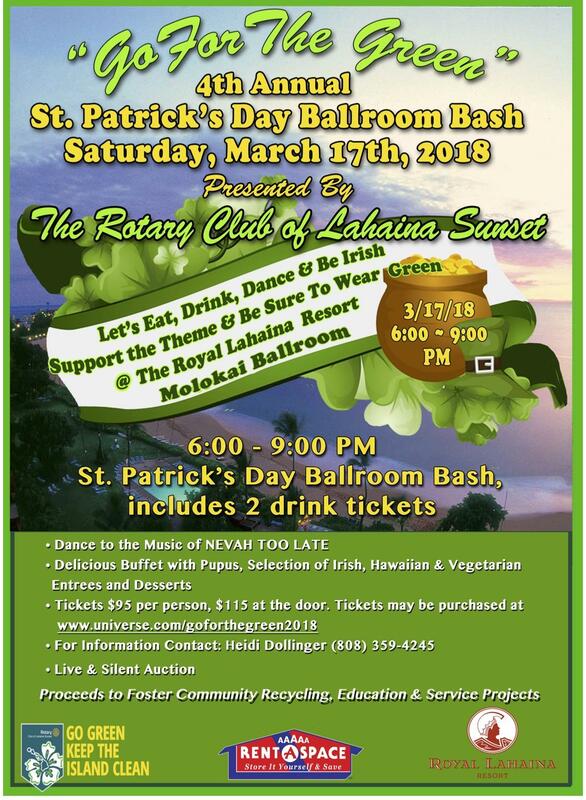 Celebrate St. Patrick's Day and support the Rotary Club of Lahaina Sunset service projects. Only 160 seats available. Great food! Great music! Silent and Live Auction! Purchase your ticket now!